Everyone’s talking about it. The major freeze is finally here in Northeast Ohio. Driving into work here at Verne & Ellsworth Hann this morning, my car was showing the outdoor temperature of -5 degrees. Cleveland will break records today and this week for some of the coldest temperatures and wind chills in Northeast Ohio. Homeowners have many concerns with the freezing temperatures. Here are a few ways to prevent costly repairs to your heating system and plumbing in your home. Verne & Ellsworth Hann, and manufacturers of heating equipment, highly recommend annual maintenance on your furnace or boiler. Preventative maintenance can help avoid costly repairs and breakdowns. Leave well enough alone. When the temperatures are in the negative degrees, it’s not the best idea to drain down your boiler or change the batteries in your thermostat (if not needed). If your heating equipment is working, be grateful and don’t touch anything! Keep the temperature in your home at a constant degree and don’t turn the thermostat down when you go to bed. The higher the better. Freezing pipes are also a great concern for Cleveland homeowners. Make sure to leave a faucet running at a trickle. Open cupboard doors to help expose heat to the pipes within them. If you suspect your pipes may be frozen, call the experts at Verne & Ellsworth Hann immediately. 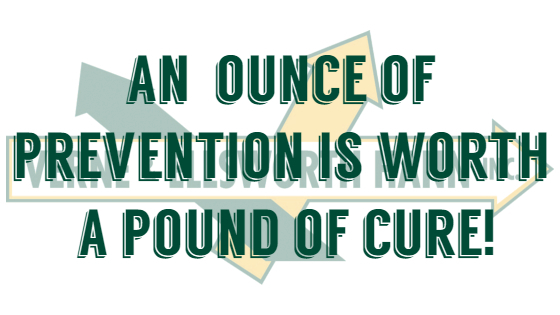 There is an old saying…an ounce of prevention is worth a pound of cure. Nothing rings more true than on a day like today in Northeast Ohio. If you want to schedule a tune-up/safety inspection, if you are without heat, or if you are having any plumbing issues in your home, call the experts at Verne & Ellsworth Hann. Servicing Cleveland Heights, Shaker Heights, University Heights, Chagrin Falls, and most of Northeast Ohio, Verne & Ellsworth Hann is a 5 generation family company owned and operated by brothers Bill and Chris Hann. 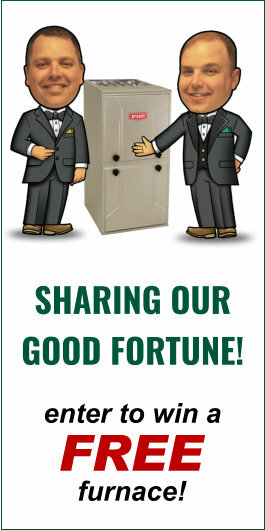 Homeowners have trusted Verne & Ellsworth Hann for over 64 years. Call today!